Bring the warmth of fall indoors with accents of nature. By adding glitter to leaves you can create the perfect centerpiece or place setting. 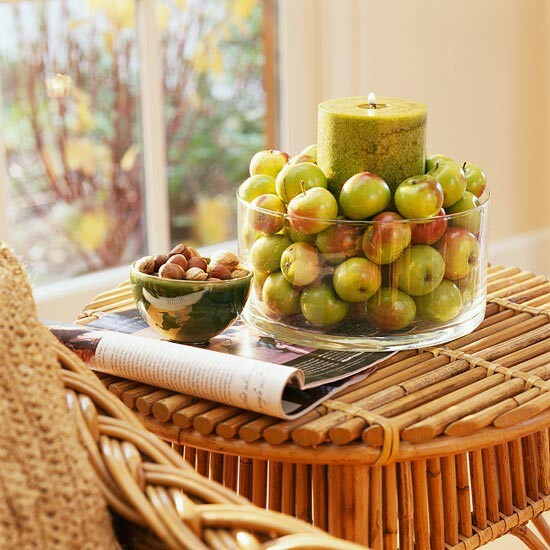 Apple picking is upon us and what better way to utilize these delicious treats. By adding these accent pillows, fall flowers, and pumpkins this outside space is transformed for fall. Again adding accent pillows and flowers just to bring a touch of fall to your space.